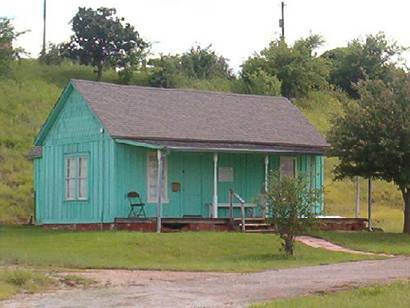 Thurber, Texas' Premier Ghost Town. Only Indianola's story comes close to equaling the Thurber saga. 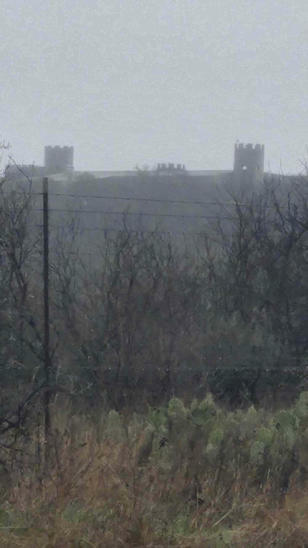 Once the largest city between Fort Worth and El Paso, Thurber became a ghost due to corporate decisions and not the forces of nature, as was the case with Indianola. 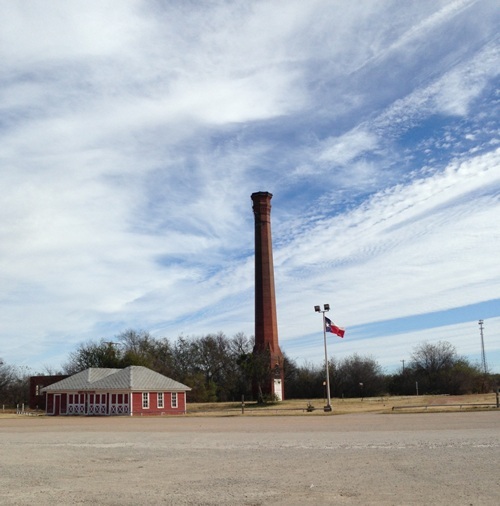 Thurber was the first city in Texas to be completely electrified and amenities included refrigeration and running water. It did, however have an abnormally high child mortality rate that still puzzles historians. 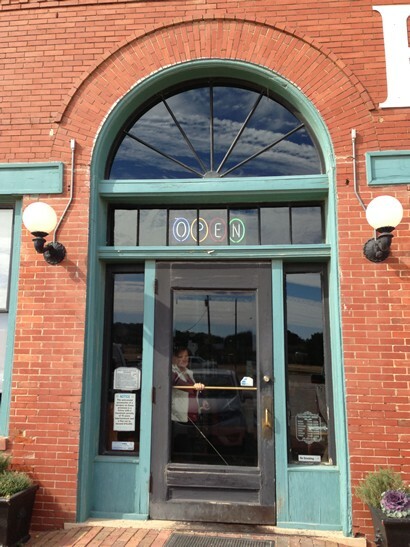 Thurber was built by the Johnson Coal Company that was later bought out by The Texas and Pacific Coal Company in 1888. It's mining operation provided the fuel for coal-burning locomotives of numerous railroads, including the Santa Fe, the Southern Pacific, the Texas & Pacific and the "Katy". 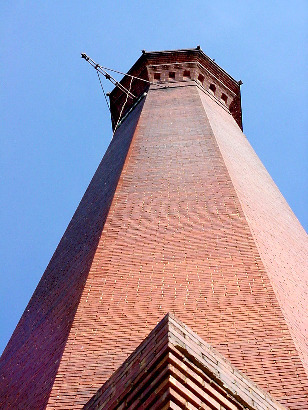 At one time the coal deposits were thought to be inexhaustible. We are told there are still millions of tons left. 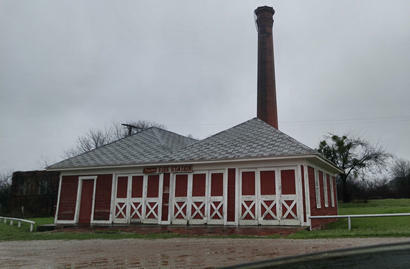 A brick factory was added to the mining operations since they had the material, the fuel, and the railroad to ship the end product. Tile was manufactured as well, but it was the thick, heavy Thurber paving brick that paid the bills. Congress Avenue in Austin was paved with them as well as Seawall Boulevard in Galveston. Governor "Ma" Ferguson's experimental highway from Belton to Temple was constructed with Thurber Brick and asphalt (or macadam as it was then called, after its inventor, a man named MacAdam). 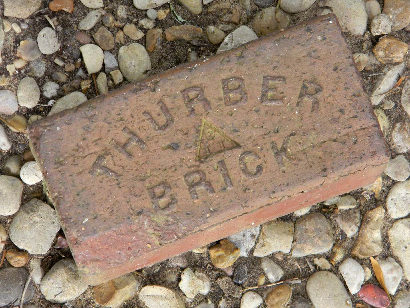 Mr. Leo Bielinski who has ties to Thurber dating back to his grandfather's arrival from Poland in 1889, adds that Camp Bowie Boulevard was paved with Thurber brick as well as The Fort Worth Stockyards. The city lived by whistles. From 5:30 when the first miners would rise, to the noon whistle, then the railroad whistles that would signal the approaching end of the school day and finally the quitting whistle. 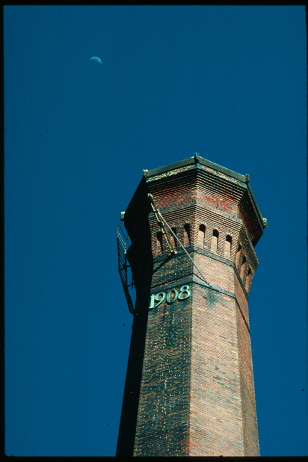 In 1915 oil was piped in to fuel the brick furnaces. Ironically, the switching of locomotives from coal to oil was in part responsible for Thurber closing. They were using the product that was putting them out of business. Physically, Thurber ceased to exist when the company sold the houses for the price of lumber and they were carried away piece-meal or intact. After the brick-making operation closed, workers were permitted to live rent-free and were given a thirty-dollar stipend (in scrip) per month. More recently, in the late 1960s and early 70s, Thurber became a center for not one, but two controversial religious communes. The Children of God, and "The Soul Clinic." They were evicted from private property they were leasing in the vicinity sometime around 1972. "There never was a Texas town quite like Thurber and there never will be again. In a state not known for coal, Thurber produced tons of "black diamonds" for more than 30 years. In a state known for its independence, Thurber was a wholly company-owned town, right down to the last nail in the last miner's house, and became a union town populated by mostly foreign workers. Thurber, along with Indianola, is perhaps the state's most celebrated ghost town because it was contrary to ordinary in every way. Situated in the northeast corner of Erath County, almost to the Palo Pinto County line, Thurber was different from every other Texas town of its time... more"
"...Though those three phases of Thurber's history - coal, bricks and oil -- are well known, much less known is that the town became a production center for a fourth product: illegal booze... more"
Thurber fire station with the smokestack in the background. 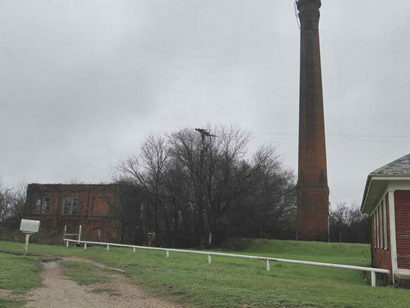 An abandoned building with the smoke stack in the background. A typical miner's house - "Speegle House"
New York Hill was the name given to the neighborhood for the white-collar clerks and brick-counters that the company recruited from the East Coast. In truth, they actually oversaw the operations of the Ranger Oil Field. New York Hill is now the site for the Restaurant of the same name. Thurber has a yearly reunion every year on the 2nd Saturday in June and has done so since 1937. THURBER: The Life and Death of a Company Coal Town by John Spratt III. 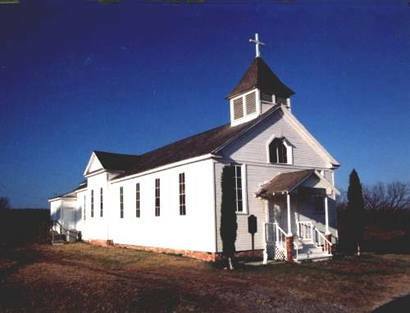 Our sincere thanks to Mr. Leo Bielinski who reviewed our article for accuracy and added to our knowledge of this unique place, in our opinion the most fascinating of all Texas ghost towns.